This BOM is now full. Please continue to check our website for future programs. 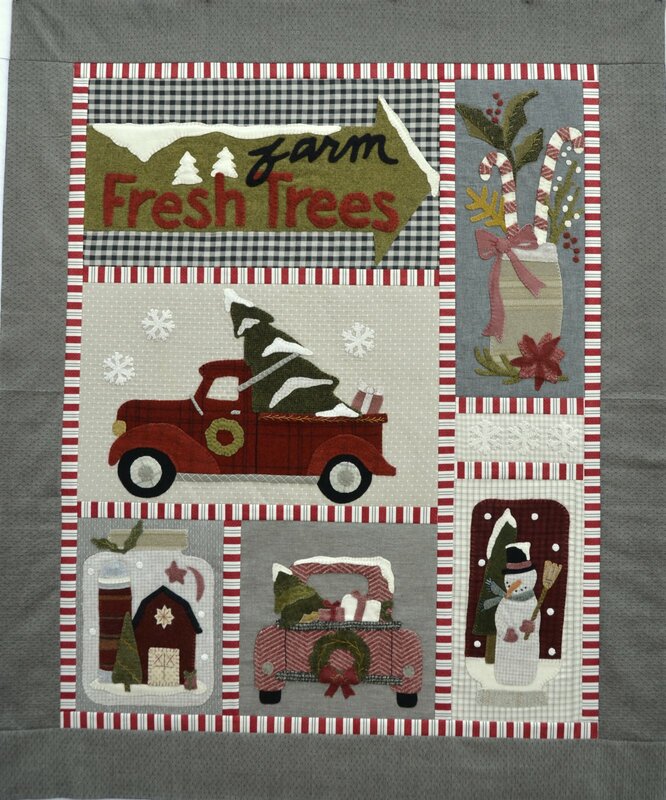 This is "Bringing Home the Tree" one of our new Block of the Month offerings. 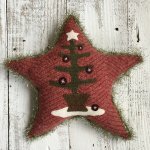 The quilt is Wool Applique on woven cotton backgrounds. Finished size is 43" x 51". By adding this to your cart and paying the $ 35 fee, you are committing to the 7 month program and the costs stated below. 7 month program beginning February 10, 2018 ending August 10, 2018. Blocks will be available at Open Studio for our local participants and will be shipped the 10th of each month, or the next business day after the 10th. 1 block per month with the 7th month being the finishing month. Finishing kit includes the fabrics for the sashing, border and binding. Backing kits will be available. The $ 35 you pay now is for the pattern and button embellishment pack. You will receive these with your first block. Months 1 - 6, $ 20 per month if picked up in studio, $ 26 per month shipped. Month 7, finishing kit $ 20 if picked up, $ 26 shipped. If you are a long distance participant and we are sending your blocks, we will give you a call for credit card info to keep on file (protected) and your card will be charged each month at shipping.